You only have two days in Cape Town and want some ideas on what to do. 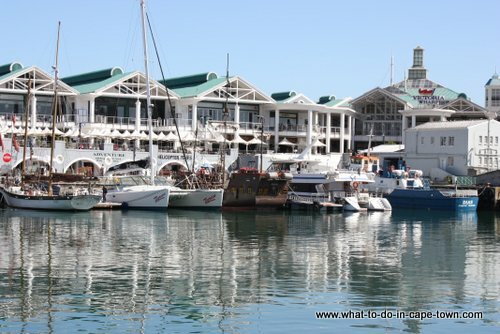 On my One day in Cape Town page I asked a few Capetonians to share some places and activities that they will suggest if you only had one day in the Mother City. On this page I will however be sharing my itinerary for the two days. Because most of the activities are weather bound,you can obviously change the activities to suite your pace and your interests. We'll start and end the day at the V&A Waterfont. Learn more about diamonds at the Diamond Museum. 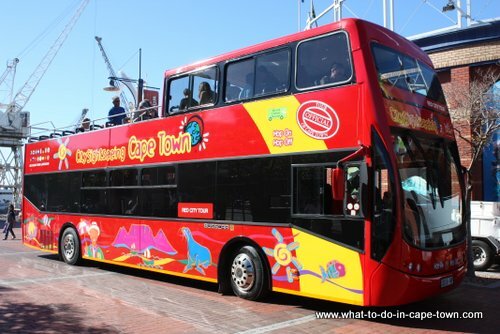 Now that I've whetted your appetite, skip everything and head to the City Sightseeing terminus at the Two Oceans Aquarium. Two Oceans Aquarium, The Clock Tower, Cape Town International Conference Centre, Cape Town Tourism Centre, St Georges Cathedral, The SA Museum, Mount Nelson Hotel, SA Jewish Museum, District Six Museum, Castle of Good Hope, Gold Museum, Jewel Africa, Table Mountain Cableway, Camps Bay, President Hotel, Sea Point and Winchester Mansions Hotel. 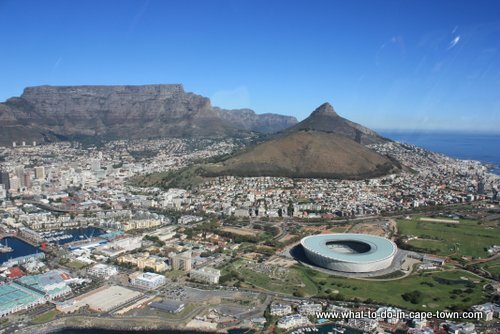 You can explore the Cape Town city centre but the idea is to visit Table Mountain. Tip: Do not put your earphones on your ears when you plug them in as it seems like a standing joke to increase the volume levels to max when you leave the bus. 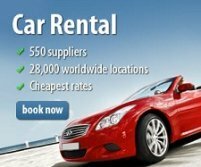 Enjoy the trip to the top on the Rotair Cable Cars where floors of the cars rotate through 360 degrees during the ascent or descent,giving passengers a panoramic view of the city. Dine at Table mountain Cafe. The menu include pizzas, gourmet burgers and a section with traditional South African food. Light meals are also available from the deli. Take free short guided walks which depart daily at 10:00 and 12:00 from the Upper Cable Station. Enjoy the estimated 1,470 species of plants to be found on the mountain which forms part of the unique and rich Cape fynbos. Tip 1: Always pack something warm, as it might be much colder at the top of Table Mountain than at the bottom. 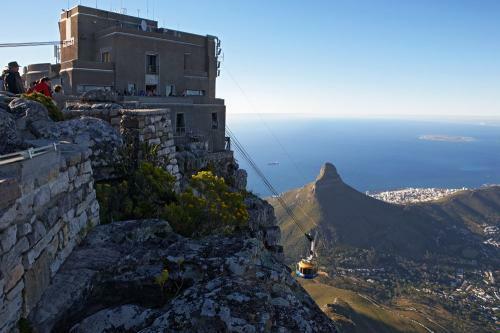 Tip 2: Visit the Aerial Cableway website to book your tickets and skip the queues. After all that fresh air you are probably starving. Hop on to the bus for a short drive to Camps Bay with its many trendy sidewalk cafés and restaurants on the beachfront. You can even stay for a sundowner to enjoy a spectacular sunset and then it's back to the Waterfront for the end of Day one. The Night Tour is available daily from Stop 1, the City Sightseeing Kiosk, and departs at 6pm sharp. The Bus snakes around the Atlantic Coastline, providing views of the suburbs of Sea Point, Clifton and Camps Bay and will then, depending on the weather, visit either the summit of Signal Hill or the lower Cableway station. One of their most popular routes available. 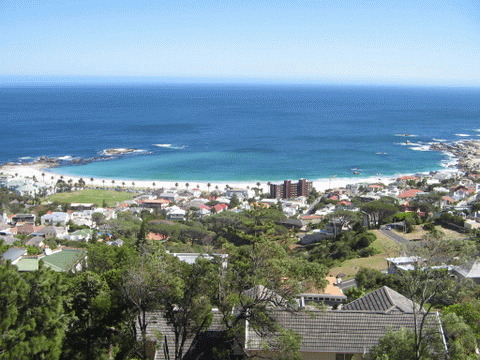 Sights of the city with views of Cape Town Stadium, the beaches of Clifton, Camps Bay and the majestic Twelve Apostles.